Anyone who lives in Jersey City that loves fun, knows the Rock-It Docket. 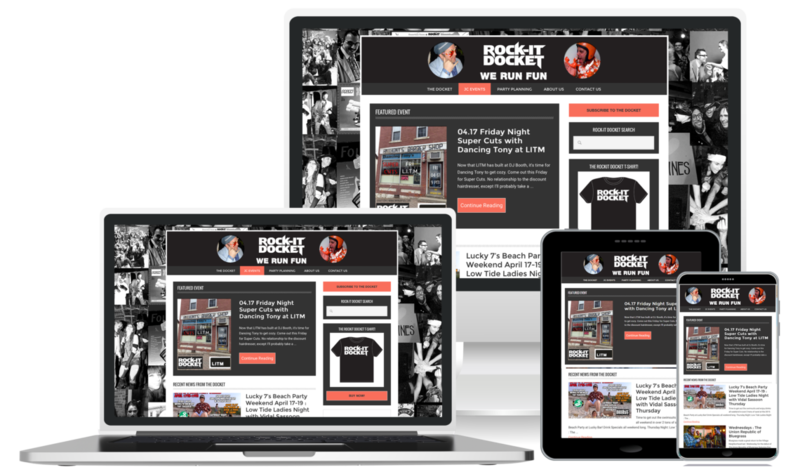 Owned and operated by Anthony “Dancing Tony” Susco, The Rock-It Docket it’s an online blog and event feed detailing everything that is fun in Jersey City, hence their alternate name, We Run Fun! Considering that Fake Plastic Websites is Jersey City-based agency, it was such a pleasure to be a part of this project. We love Jersey City, but no one loves Jersey city as much as Dancing Tony!